It all started back in 1998, I was on my first voyage to Europe so I wanted to cover a lot of ground, we ended up covering four nations in one week! One of the most memorable was the trip to Brussels. We took a cab from the train station to the hotel. I was stuck to the window the whole ride. The driver broke my trance by saying voila in front of the hotel. 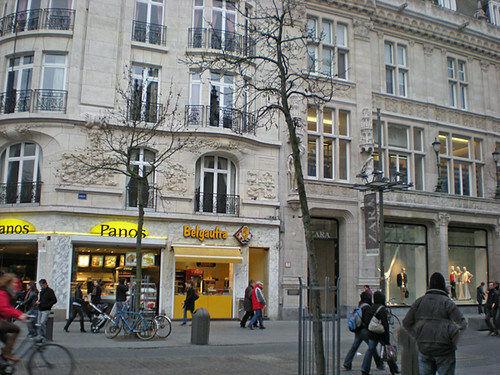 We settled in and then head out to enjoy the La Grand Place de Bruxelles. It is one of the most beautiful plazas in Europe. We walked around a bit when we came to a “waffle stand”. Mary bought one while I declined. She offered a bite, I declined again, then she pretty much demanded that I at least try a bite, I did and I could not stop. We continued to eat them for the rest of our stay. Since that trip, we have made several trips to Antwerp. 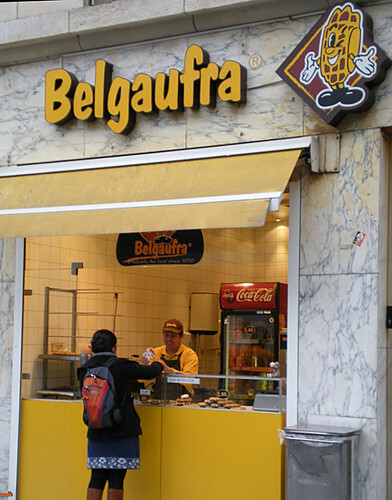 At the corner of the alley where we have stayed, there is a franchised Belgaufra store front. There are pretty good but not as good as the street vendors. The street ones have a lot more sugar and have a harder exterior. These are targeted treats when we go to Belgium, that, plus great beer and chocolate. YOU NEED TO START this recipe a day in advance!!!!! The day before you plan on having these, place into the workbowl of a stand mixer. Stir for a few seconds to moisten the yeast. Cover and let stand 75-90 minutes (at the end of that time, you’ll notice the batter bubbling up through the cover of flour). 1 1/2 tsp Table Salt – use it all! Mix on low speed – just to blend. Mix 4 minutes at medium-low speed; scrape down sides once or twice in that period. Let the dough rest for 1 minute and then continue to mix for 2 minutes. If you measured your ingredients perfectly, the dough will be sticking to the sides of the bowl in the last minute of mixing and then, in the last 30 seconds of so, will start to ball-up on the paddle. If this does not happen, let the dough rest for 1 more minute and mix for another 2 minutes. Whatever the outcome of the extra mixing, proceed. This is essential. The yeast respiration must be slowed before continuing. Stir the dough down (meaning: gently deflate the gases from the dough, by pressing on it with a rubber scraper), scrape it onto a piece of plastic wrap, and press the dough into a long rectangle. Fold that rectangle over on itself (by thirds – like a letter) so that you have a square of dough. Wrap it in plastic, weigh it down with two heavy dinner plates on top of it, and refrigerate OVERNIGHT. 1 to 1 1/2 cups Belgian Pearl Sugar (“Lars Own” brand is an excellent choice) IKEA carries Lars brand Swedish Pearl Sugar which worked perfect, I just used the smaller amount (1 cup). OR you can purchase the Belgian brand on Amazon. It will seem like a lot of sugar, but it’s supposed to be. Mix it into the dough by hand until the chunks are well-distributed. It may be easier to work with half of the dough at a time. 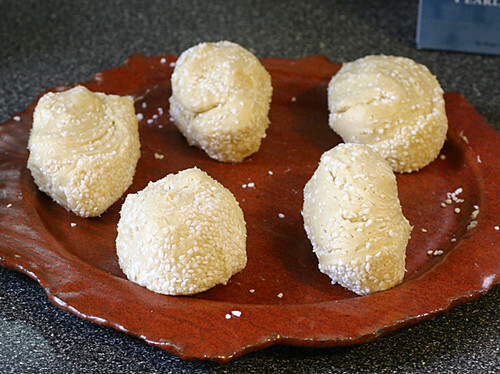 Once mixed, divide the dough into 10 pieces of equal size. Shape each chunk into an oval ball (like a football without the pointy ends) and let it rise (covered loosely in plastic wrap) for exactly 90 minutes. ** If you have a regular waffle iron, heat the iron to 420 degrees (hint: many regular waffle irons go up to and over 550 degrees at their highest setting) , place the dough on the iron, and immediately unplug it or turn the temp dial all the way down. Otherwise, the sugar will burn. Thank YOU so much Oliver! I WANT ONE! Great pics, fun story! Okay, now I need to convince my husband that I need a professional waffle iron for my birthday in a few weeks! Those waffles look amazing! It’s only a great post thanks to YOU Missy! Nom nom nom nom nom! I’ve found the sugar on Amazon since I don’t see an Ikea trip in our future. If I commit to buying the sugar, I guess that means I’m committing to making them…. 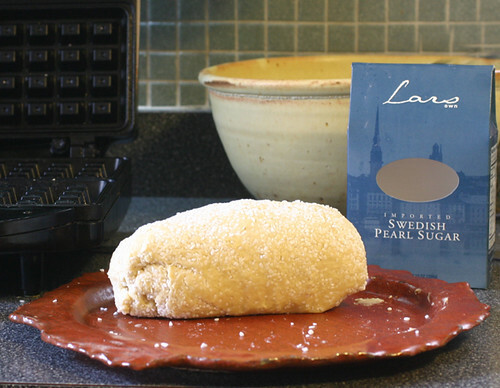 Sweden pearl sugar to make The Liege waffle …It’s a big no no ! I was born and raise In Liege, Belgium and believe me the Sweden “Belgian pearl sugar” is not The one we use to make Liege waffles. It’s not because they call it Belgian pearl sugar …The belgian pearl sugar must be made in Belgium! I get mine online at http://www.belgianpearlsugar.com you should try to see the difference. I will! Thanks for the reco! Sounds like a fabulous recipe. What is the make of the waffle iron in the picture? Thanks! Krups. It doesn’t have a temperature dail on it, and that made me a little worried, but it was all for naught as these waffles turned out great. 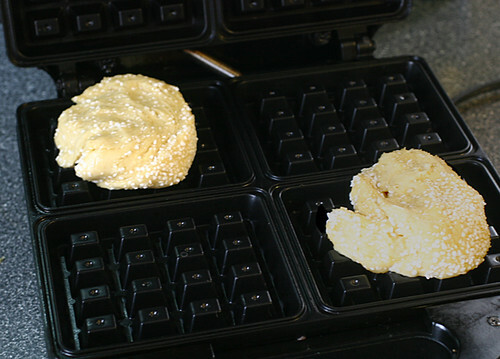 Don’t let a type of waffle iron hold you back from making these – I just left mine in longer until they became all melted and gooey and delicious. 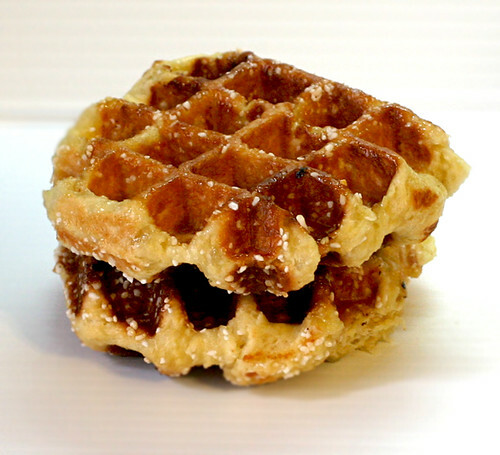 I love the Liege waffles! I just made 30 waffles two days ago with the belgian pearl sugar Chef Alain suggested and they were perfect. Just like I remember them. It’s me in the picture, selling the waffle ! thanks ! And thank YOU for the fabulous waffles! IF I would freeze them at which step should I do it? Instead of refrigerate should I just freeze?